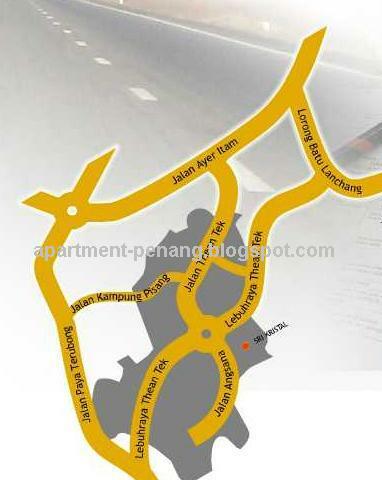 Sri Kristal Apartment is located in Air Itam, a new project development by Farlim Group. Sri Kristal gives you the best of cosy home and with an enchanting posh lobby and indulge in two whole levels of full-fledged condominium and recreational facilities reserved only for the privileged. A home designed for comfort and peace of mind. A lifestyle that is truly second to none. 24-hour CCTV system, indoor swimming pool, gymnasium, sauna, jacuzzi, children's playground, basketball court, multipurpose court, BBQ-pit, free Wi-fi zone. Yes ... i live in farlim for over 10 years ... this one definetely is the best ! When obtained OC ? cannot wait to move in ! 862 ~ 886 sqf ... top 2 floor ( 22 & 23 floor ) free 2 car park !! Hi all , i'm one of the buyer ... Block A , 17 floor typeA corner unit ..Heard from my friend who currently live in Sri Impian ( opposite Sri Kristal ) ...the view from here is fantanstic as it build at high level land , incuding from Kek lok si , Penang Hill to Gurney city view ^_^ After Sri kristal complete , it will block the view from Sri Impian , my friend keep on complaint , hehe ... Block A already finish painting (sold out ), OC should be obtain by end of this year ! Yeah, Farlim did a good job this time. Finally can see a good looking and beautiful apartment in that area. awesome. I'd bought block B 19th floor corner unit. hey dude, are you sure there is a nice view from there? pay RM15K more compare with face Sri Impain, worth it? Emm...I'm sure it's worth...maybe can say in this way , for own live and ppl who only require a budget "home" ; Sri Impian view unit may be their choice as can save a lot of money but still enjoy same faciities ... however for invest , beside need to have good unit (like you did which purchase corner unit with higher price), Good view is also one of the important factor ...Trust me sure no regret one , the view is owesome :) If we lucky enough , PGCC build sucessfully and we will have the great tower view too ! For block B 19th floor, how much u bought? Hello guys ! great to see many fedback for this project ... I'm buyer for block B , i think now oredi reach 10++ floor ...i check google earth , actually Sri Kristal is direct face to Penang Hill ...and yes , we will have Kek Lok Si and Bt Gantung View ( PGCC site ) ...arr~~ A bit far from gurney but considering the land level is high , It's possible to view until there too ... One concern , proposed PORR should be near by only ( beside Farlim komplek ) , is it good or bad thing ? it looks really nice....what's the selling price ?? anybody don't mind to tell me ?? Agreed, I stay at Farlim for more than 10 yrs..and the apartment I'm staying already looks bad exterior wise, no painting for the 10 yrs and the lift always breakdown. Farlim mgmt need to buck-up. Always give excuses of some residents not paying the maintenance fee. Wow..so many negative feedback. I need reconsider my investment at Farlim..
eh ? can u tell me how to invest on farlim ? I have same concern as i'm work in Bayan Lepas FTZ as well. However,my unit is come with 2 car park and largest layout (886 sft), hence no parking issue hehe ^_^ No choice , we need to wake up a bit early ...BTW any block A purchaser here ? if u dun mind please share out current status ,the whole block seems completed , when obtain OC and finish extention ? i heard that this apartment buil at slope. It's safety?? Anybody knows whether the facilities will be available after both blocks completed or once block A obtained the OC? I bought Block B 19th Corner with 168K. anybody knows if we can do renovation ourself? shall we org a committee. Add in one more thing here, you can find contractor urself fro the renovation, but you need to buy cement/lime etc if your renovation works involve such materials. Thanks for info. collecting a big sum of money also a big pain for me. Thank you to be my neighbour as well. If you know supplier for renovation material in PG, do not hesitate to inform me. 1 thing to remind, never buy furniture in Penang Island. there are a lot of furniture factories at Prai and may be we could get a better price there. think about it. "you can find contractor urself for the renovation, but you need to buy cement/lime etc from Farlim Group (or supplier provded by them) if your renovation works involve such materials." This is what Farlim Group's stuff told me. About the renovation, i just do some survey but won't so fast to decide which supplier/contractor will be used since our house still needs more than 1 year to be completed. However, if got good and cheap one, i will inform you by sending the mail to you or post here. last week I was visiting there for an Air cond. Pxnxsonic Inverter. they sell RM1399, SXC sell RM1349, JJ sell RM1299. if buy that model in member day (JJ) , -5%. how do you think the price in ShenHxng? how much discount for member? I have no idea about the renovation material if must buy from farlim group or their supplier. Some material like cement, sand...that's fine for me. Of course you can join us. If i got any information, will post here or send to your email. By the way, which block and which floor is your unit? Thanks. Maybe we can setup the maintenance committee eh ? YIppeee.... I think we can move in in December.. :-) Just could not wait for that day. ! Hello , anyone know how their going to perform extension job after OC obtaine ? how soon it can can be complete ? all the while Farlim only provide me one ugrade voucher , is it mean we dun have right to choose for contrator ? Hi hi, im a buyer of block A. Actually now all the units are built with the same size. Upon OC obtained, Farlim will extend the units based on the size we bought i.e 750sq ft, 862 sq ft & 886 sq ft. The voucher given actually does not serve any purpose as it is for the extension of the unit i.e. from the original size to the size of the units we bought. December can move in?? Will it be that fast Farlim will complete the extension of all units? Anybody hve info when can we move in? i'm one of the buyer of this project. i bought one unit in Block B.Well according to the developer, the block B will be copmleted by Dec and the extension will take approx 3 to 4 months which in another word it means that only by march or april we can move in. You mean block B will be completed by Dec 2008 or Dec 2009? It is a good idea to have maintenance committee. I will consider to involve in it if i have time. So you want to becomes the chair person for this committee? Block B will be completed by this year Dec (2008) and the extension will complete by march/april 2009. Hey Chandra, I have included you in our mail list. So what is the actual date will Block B be completed and finish extension?So when both of your heard from the Farlim group stuff? When i paid the deposit 2 months ago, Miss Law did told me that we will get our house key around mid of 2009, and only can move in at the end of 2009. But once we obtained the key, we need to start pay the maintenance fees even we still can't move in. damn...the maintenance fees need to be paid while get the key? em..mid of 2009 is good also...I can't wait to move in. But, let see how's the environment while Block A resident moving in. I warmly request and strongly highlight to maitainance office, they need to be reconsider installing proximity card access system for the old condominium project. They have to improve maintainance service to gain more confidence from existing residents. This will indirectly pull up Farlim Group reputation and sales.. I'm also a Block B'er...14th floor. Welcome to join us. We will send any update information regarding Sri Kristal, renovation etc to each other through email. You can update to us if you got any latest information. Will Farlim Group office still open on Saturday or Sunday? If i got time, might go to ask got any updated information from them regarding OC and other things? Thanks! Any info/updates i'll share with you all. Farlim office is closed on Sunday since last week, but Saturday still open. I passed by the site yesterday...the arch and security post is completed, the car park is already painted. I think block B reaches 14th floor d...can't wait!! I guess they are busy with building the facilities therefore Block A residents could be obtained OC in time? If I'm the developer, i will try to finish the building ASAP. Do you know why? cement, steel and labour charge (the cost) has been increased to the crazy level. The Farlim Group President Tan Sri Lim need to keep his good name, whatever he has promised, he will do it. Now, getting block A finished in time is priority. Correct me if i'm wrong. Yes , i agree with u . Base on my observation (Block B) , they can built abt 2 floor/month ;However,recently the progress became a bit slower .I guess this is due to they are more focus on block A and facilities floor to ensure it's OC can obtain in time . FYI i own a unit at block B 22 floor . i just simply called Farlim group today to find out when will block B will complete and according to them it iwll complete by end of next year which mean December 2009. We cannot do anything , developer have their right to complete any high rise project in 3 years time , thus still consider "in schedule" for blk B even complete by end/2009 . During i purchase Sri Kristal on March 07 properties fair , they promise that both block will complete at the same time , but now ... :( Anyhow , with considering the continuous price increase of construction stuff , i believe Farlim Group will complete it ASAP to prevent further loss ; So we just keep follow up the progress ! My unit just one floor lower than yours. It is good for you to have a 2 car parks, i just have 1 carpark, sigh. When i bought it, all the units at 22 floor already sold out, nothing can do and i don't like the top floor(23). So what is your type of unit? Corner unit? 886sqf unit? or 862sqf unit? Chandra, No worry about the date we can get our key. for a Win win solution, Farlim will completing this project ASAP per YS. WW, is there any chance we buy extra car park? Just want to buy one extra to rent it out. I'm future in Law house just near by, 1 @ 2 car parks is fine for me. I just think about kitchen, Gate for main door and a window, ceiling + down lights, painting (some of the work I can DIY like lighting and paint - 10K). Electrical + furnitures (25K). Hopefully the cost still within my budget in 2010. About the car park, 1 is enough for me. My gf's house just nearby, I can park over there if I have extra car. Hi all , i'm just found this blog, Seems like a lot of Sri Krystal buyer is here. i'm one of the buyer also... Block A , 7th floor, the 1 that i bought is facing Sri Impian. My unit is around 75% completion. Heard that Block A will get the key some where around Sept-Oct'08, then O.C will get after 1 month they pass us the key, after get the O.C will take another 3 months time for the final extension work. so prabably by end of this yr we shud able to start for the renovation ady.. If you start get your key on Sep-Oct 2008 until the extension finish, the time taken is around 4-5 months? Then you can only start to do your renovation on Jan-Feb 2009, is it? How you said you can start do your renovation at the end of 2008? When and form who you heard that? I call the farlim office yesterday and the person who incharge this project told me that...if she also say that if everything go smoothly...for block A buyer...we shud able to start the renovation by end of this yr.
i just checked with Farlim staff yesterday, noticed that all corner units for block A and Bloack B have been sold out. Many i know is there any investor or agent want to sell the corner unit? i am interested to buy. thanks. Well I bought block B 13th floor RM168K. With the recent increase in cement and steel price, the market value is going to appreciate by roughly 20K(speculated), that means my unit now is RM188K. Pity for those who haven't bought their own property, i'm expecting all other new projects are going to have some significant price hike. what type your unit is? AA?EE? Hi Ammy and Alex, welcome to board. something wrong with this blog. The statement I post a few hours ago not yet publish in this page. i saw some advertisment that property & home show will be hold on 27 - 29 june 2008 at PISA. Besides the property, there is also home incorporating renovation like roofing, bath accessories, tiles and timber flooring and so on. check on http://apartment-penang.blogspot.com/2008/06/penang-property-home-show-2008.html. Is it early to check these home renovations ? :) lol.. ohh dear sri kristal,i cannot wait to move in. the leasehold period is only until 2089 , izzit worth to buy ??? just left 80 years leased althrough not completed? if like that, then it is not worth, as you will hard to get a buyer if you intend to sell next time, due to hard to get 90% loan if the leased year only left 60-70 years. the price will depreciate according to years left. Which company are you representing?.. By the way, i'd like to correct my statement, the market appreciation should be around 20-30% and not RM20k, let's hope it's true. Saw someone commented about lease hold. Well, for me, it's just my first house, so it's ok. Price will depreciate over-time, but there will always be buyers, the MARKET is big. Nowadays to find affordable and penny worthy(free-hold plus strategic) property in Penang Island has became hard; Unless if you are rich, but i'm not, i'm just a 'Da Kong Cai'. Aries, are you a freelance or company? Pls send your sketch and quotation to fwukaiquah@yahoo.com, i have 886sqt unit in Block B.
I prefer to have my dining room, master bedroom and kitchen to be renovated. others may let alone. Any free sketch from others are welcome too. I don't think anyone can give you the exact price for > 2 months quotation on renovation. All building material price is increase 20%-50%. The price of material not yet stable at this moment. fwu kai, yours is Block A or B? Interest to join our email chain? 6 of ours Block B member are there. Agreed. Price will rise. I bought a block B unit. The email chain is to share any updated info on Sri Kristal, renovation, furnish etc among Sri Kristal block B owner. Since all of us will becomes neighbour in future, thus it is good we start to know each other now, right? By the way, you didn't provide us your email address, how can we add in you in the loop? btw, can any of you pls help to post any contacts or websites of any ceiling plaster or ID worth recommending? I just discovered this blog and very happy to see there are so many buyers of this apartment!! Fyi, I bought Blk A, 21st flr. I read thr. all the comments and found out a number of points and we have to address and sort it out. Hope you guys will take your sweet time to read and feedback. 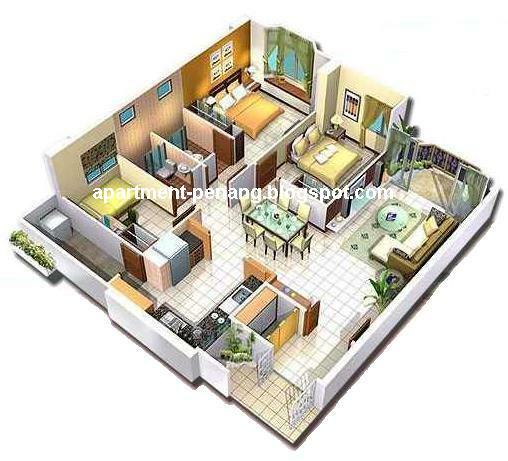 1) this project have the attractive facilities whereby cann't find in Farlim. Hope Farlim will keep their promise. 4) is well connected with all kinds of transport and main roads. 6)...etc..cann't think of at the moment :) or probably you can add on. Personally, I do like to raise up some concerns whereby all of us need to consider and push Farlim to improve on it so that we have a better and peaceful life style!! 2) Car sticker!! Halo excuse! Nowsaday, most of the newly build high rise building already incorporated with auto entry key card instead of using old fashion car sticker! As I notice from other apartment that practice such sticker will have problem to illegal car entry. Unless the security guide really scan thr all vehicles b4 entry. 3) Visitors car park - I am not sure are there any visitor car park available inside the compound. If yes, then I prefer Farlim can arrange it next/near to the visibility of the security house! Those cars without sticker (hope will change to key card) must register with guide house (as practise by most apartment) before enter. Once registed they only allow to park at the designated areas as mentioned above. 4) Flyer distributors - Yeah!! New offer again! Well, I believe most of us want to save a penny with current high cost of living. Do you notice that if we simply allow the 'flyer distributors' enter and stuck your mailbox with all sort of papers, etc. this will create more rubbish at the lobby! Suggestion: We only allow them to left their flyer at guide house and them handover to all owners whenever they back home. 5) Renovation - For extra renovation works that all of us intend to carry out after completion we have to let the illegally appointed constrator to handle. As I understand from my friend, they will charge higher than market price and the quality also not up to standard! Why we have to dig a big whole into our pocket?why we cann't choose our own contractor? even Farlim group cann't help us cos they are "gangster" in that area!! Fyi, I even sent an email (general i think) to ex-CM, Mr.Koh and as well as current PIC of property related issues of PG. but no feedback totally :( such a shame...I think the only solution is we have to gather/group together and have a meeting with all relevant parties to settle the issues if they charge excessively! Finally, finish my feedback :) I am searching for furniture & renovation contractor as well so hope you guys can give me some update where to get good products with affordable price. that is normal to have gangters in low cost apartment.after OC obtained, they will put a table at entry and monitor all the renovation progress. if you choice to use outside constructor, u need to buy brick/sand/pump from they whih is 2X of original price. worst case, they will ask for angpau few hundred before your outside constructor start work. if you guys know the solution to solve it. please post here. thanks. Everybody also said it is normal ...so that's why they (gangster) take advantage against us (buyers)!!! We must act and unite to 'fight' with them. We also earn for living and why we have to bear this unneccesary cost!! WHY?? YB are you blind?? cann't you see we suffer over here!! I go to the cforum.cari.com.my and there got a topic discuss on Sri Kristal. I try to register an account in cari.com.my, i face a difficulty to singup. Everytime i enter my email address and click continue, it shows a new page for step 2 with an error one, the page shows "Fields marked with1 a (*) are required fields!" with "back" button, nothing else i can do/fill in to proceed the sigup. So anyone of you did register an account in cari.com.my successfully? around how much per unit now? Do you all think that this property can obtain the OC on time?? Hi, i'm a buyer of Block A 5th flr unit (facing Sri Impain). Got good news to share with you all. I just call Farlim office yesterday, they told me that Block A buyer will get the key by next month. We need to pay 1 mth deposit and 3 mths advance for the maintenance fee & sinking fund (RM126.50 per mth) before we get the key. The advance maintenance fee only start calculate when OC is obtain. If u guys got any updates or recent photographs, email me at jessielean@gmail.com Thank you. How come need to pay 1 month deposit? And how much is the deposit? I also don't know why, may be u can call farlim office and check with them again. Tq. don scared ppl here , k ??? yeah yeah!! we hv to form committee and fight for our right!!! WE cann't let this continue to happen. WE pay maintenance then they (Farlim mgnt) hv to do their part!!! i m support u too !!! i m also a sk blok A unit owner..i bought the 7th floor...that day i went into the unit to see...very nice of the building. hope the strong comittee build up future for SK will help. I'm an owner of a unit in block A. The joint committee should look into maintaining the state of the facilities at SK. (e.g gym, multi purpose court and etc) If this is not taken care of, we will only be having a working gym for 1 month. hope this new building will not allowed the flyer distributed around the letter box in SK for future. this only messed up the place withh all the flyer paper around floor. i lived in FARLIM for more than 10 yrs at the low cost apartment, hope will not see this in SK. Strong commitee setup should request management for not allowed them (flyer distributor) to be goes into the SK. Hope everyone resident for SK will agreed for this. zstrongly agree with khoo.but in my opinion,SK's outlook and facilities are more important.i hope that SK can standardize all air-conditioner piping,air conditioner external,astro,'orning' etc,so it won look like Sri Impian,has a messy outlook.hope that management can helding a meeting before Block A OC obtain. I'm the buyer for Block B 23 lvl. Please help to add me the email chain (shawnyvy83@heartmail) for any latest updates regarding SK. I strongly agree to form a committee to encounter all issues occur in SK. Nice to meet all SK buyer. Farlim management should change in attitude otherwise, history could repeat itself. Sri Kristal is the last project in Farlim, and if the management don't live up to purchasers expectation, then, it's done. So; it's either change the management or change the manager!! My opinion, change the manager as he is not performing well. Any unit in Block A or B for sale? Pls write here. Tks. hv been watching projects shooting up one after another. initially look good but eventually image run down. why?? boils down purely to management! public is wiser now and will invest mainly in good management rather in old or new building. just look at low-cost 'lone pine' flat, it still command good price and all because it's well maintained and properly managed. will 'sri kristal' be better off than the rest? lets see..
hi all, as i read from the S&P. SK going to have a centrelised astro satelite, correct me if i am wrong, so we don need to worry about to standardize the installation of Astro. Little suggest, i think internet movie is much more interesting as compared to Astro. Yet, the price is cheaper!! Do anyone have information regarding the lucky draw?? At 1st was June, then July...now August d..
For the second price and so on...good luck to all of you!! hv u read tg court s+p agreement plus all the what-not one has to sign? thats why no change in management. now, with new rulling.., can change already!! tg court people, WAKE UP!! do something, otherwise, property will not be better looking. check yr account, see got money or not, or ... god helps you. get GE Tan, Robert Bench or CA Lim to assist YoU... GOD BLESS YOU. this is not the excuses for not perform their jobs!! somehow, the residents have to push and work together with the management company to solve out the problem. off course the management will not bother about the problems unless they are responsible and proactive. unfortunately, this is not the case for tg. court. Dear Tanjung Court residents, please engage a private Property Manager to look into your interest. Committee members, concern groups or any one who cares for your project, you can easily approach qualified and licence firm to study and look deeply into your account and running system in order to selvage the project as fast as possible. All the best to You! For block A, when can get the OC?? Block A owner not yet get their house key? Is that means Blcok A not yet obtain OC? The progression of Block B becomes slower and i thought it is due to the expansion work on Block A. But now seem like the expansion work is not yet start for Block A coz the y haven't get their key. Why the progession of Block B becomes slower? dun worries, this morning my cousin just had a phone call to their office, key will be obtained on next month and the extension work will continue. i bought a unit at 7 floor while my cousin at 6 floor . its a unit direct on top and bottom. we combined will having 6 room and 4 toilet..isn that wonderfull...heee..especially when you are getting stomach ache. how much price you guys bought this unit? if over 200k then why not consider the landed property in Balik Pulau town, it cost 300k~350k for the new double story house 20'x70'with free hold. May some body saying that it's too far from town but what i can tell that the double story house price that located near to the new market & Jalan Pondok Upeh has up ~30%. 200K!!! no no no...don think tat high. i bought last year at 20th flr only 156K. Hi all SK's residents!! remember we need to form a strong committee to protect our home and investment! RM 200K is not an issue for second hand market in the near future!!! I also agree to form a strong committee for SK. Since block A owner will move in much earlier than Block B owner, how to form a committee? Want to have sepearate committee for each block? Or combine both? I myselves of course prefer the second which combine both. But who want to incharge of it? I don't think committee is an issue as compare to Parking space. Whoever bought the unit,i believe u been there recently. don't u see cars park all over the road?? this is an headache issue especially those only hv 1 car park. Second hand market price more than 200k....possible??? how long??? how many other apartments surrounded it??? do u feel that it's too clouded??? With such a small area, can the construction affected the road or residence in front??? so, think before you buy, for an investment purposes or own living. Do you know what is the prices now? Can you share here? Thanks. Totally agree. Landed property is more suitable for investment. However, landed property also can't give u good return for investment as interest earn by bank is huge. Unless we have enough cash for this kinds of investment. Put the money invest on apartment is not a good idea as you can see it's so many high rise building in Penang, in every where! I don't think it will give you a good return!For those who bought for self living is ok. For long term, landed property still be the first choice, no matter for living or investment, the price will appreciate more and faster than high rise building. I'm living in the apartment which bought in the last 10 years, the price only appreciate about 30% from my purchased price. I have just bought a new DST (OC obtained) in Balik Pulau in Jalan Pondok Upeh which near to the Balik Pulau new market, it's just about 1KM distance. Just 4 months, the house price already appreciate for 10%. actually it's >30% if base on the launching price in the last 2 years. Don't need to pay the monthly fee, now every things' pricing is going up, we have to save what ever we can even 1 cent, no car park problem, no elevator break down problem.....and many more. For those guys who planning to invest the propety for own living, landed property will be the first choice. You will not regret at all. If really wanna to invest in real estate, better invest in rural area. I hv info for a bungalow with less than 300k. Believe?? But before consider it, make sure you guys have enough cash...if not, all your hardwork will go to bank's interest. By the way, I think SK buyers are for own living n not for investment. yup. SK buyer are focused on own living while not investment.An Apartment price will always not get higher return margin compared to landed properties. i purchased a SK unit is for living as i studied for feng shui (own interest)for many years was found the SK building having a very nice combination for feng shui, mid-high mountain on south area, nice lobby will created a good internal bright hall and house shape was a good design ( no missing corner ) while the lift was not located at the center of the building. post your fengsui statement with diagram if you can. else, you can post in cari forum too. some of us are active there. wah pin, plz give me about Sri Kristal in cari forum website. Thank you. 1.Square, oblong, round or pa-kua (eight-sided) buildings are propitious. Try to avoid moving into an irregular-shaped building, because it symbolizes incompleteness. An L-shaped building, for example, gives an impression that something has been missing or cut off. 2.The back of your apartment building should be protected in some way, either by a hill or another building. A solitary apartment building on top of a hill, according to feng shui practice, is extremely inauspicious as it is completely unprotected. The wind will blow the chi away, and the water will drain the chi downhill. 3.Other buildings nearby and surrounding should be lower or about the same height as your apartment building. A much taller neighboring structure can cause negative chi, especially if it is situated in front of your apartment building's main entrance. 4.The parking area, according to most feng shui gurus, should not be a part of the building itself, unless it is located underground. Ideally, it should be outside the building, because vehicles coming in and out can create too much chi and turbulance to the occupants. 5.Every building, from a feng shui perspective, should have a back door. Remember that the heart of feng shui is to allow chi to flow conveniently. When the chi enters through the front door, there should be an exit for it to go out so that more chi can come in. 6.In feng shui tradition, water is believed to bring wealth and good fortune. If your apartment building is located near a lake or river, that is considered extremely auspicious. This belief, however, is not only applied to natural sources of water. A pond, fountain or swimming pool, especially if it is situated near the main entrance of the building, is supposed to bring good luck as well. oops! there one more importance thing to remember, always find the best feng shui place are more better than to cure it later with renovation, throw aways those old minded thinking example put a (bak kua)..4th floor is the bad floor (die floor) those are believing while not related to feng shui study at all, if 4th floor was a good feng shui for you , why not go for that.right? good location with good feng shui is the most importance criteria. for me, good is good, bad is always bad, bad feng shui apartment is always a bad feng shui apartment no matter how much $$ you throw out for renovation. Hi Neigbours... I will be living in B-9 unit hopefully by early 2010. I've been hearing some pretty ugly stuff from my friends who are staying in Impian bout the Gangster Cons who she had to deal with to get her own grills. She finally gave up and bought a shoddy job from them for almost 1.5 times the price. Isn't there something we can do!!!??? for who understand chinese language. I will be living in Block A 21st floor. About the "pretty ugly stuff" do we need to buy the renovation stuff from the gangster? Wondering how can the management let them in? Hope everything turn out to be nice. I'm not sure, I'll report to police if someone propose me his idea if i'm not taking his package of renovation, then i have to pay him ang pao or "cleaning fees". and I will work with state government also. call YB Yeoh. Just tell him we will change our IC to Paya Terubong area, we have 400++ votes in our resident area. He has to do something. no point that I have friends and relatives do renovation and I also know some got to waste money on that. wah pin, i support you!!! Calvin is right. I checked wz some guys in state sec office who bought homes around here. They said apparently the business (black market contractors) are legal... so neither the police or the gov will get involved. Btw i heard keys for B Block will be handed over sometime in march or april 09... true?? Do someone hv any ideas on market renovation pricing for each particular renovation? Blk A owner receive key de ? Okay thanks for the update. Base on current progress , it's a doubt now whether Blk A can obtain OC by this year ... As i mentioned before , they need to complete the Blk B first then only can remove the crane and continue to build the main exis road . Considering Blk B reach top by e/this month , only 2~3 month left to complete the multilevel carpark and main exis road ? Farlim is definately running out of time ... Let's hope everything is going smooth. Do you realise that both our blocks are "numbered" already? Block 6 and Block 8 respectively. I assume Block A is Block 6 and Block B is Block 8.
sorry for late replying you, for apartment house, your balconi will be your facing direction while your apartment main door will be your sitting direction. lets take an example of my unit balconi faced Kek lok si, my facing direction will be northwest while sitting direction will be sitting southeast. If your unit of apartment faced Sri Impian, it will be opposition, facing southeast sitting northwest. ( house faced northwest sitting southeast was a Xun Gua and belongs to east group house ). ( house faced southeast sitting northwest was a Qian Gua and belongs to west group house ) by using the formula calculation of eight mansions life gua, you can know your own personal gua number to determined you weather east group or west group people. ( gua number 1,3,4 and 9 was east group ) ( gua number 2,6,7 and 8 was west group )you can always go to ( http://www.wofs.com/index.php?option=com_custompages&Itemid=81 ) using lilian too gua calculator to calculate your personal gua. more easy. TQ calvin. Btw, Blk A is 8 and Blk B is 6!! Yes, u r right, there were many thing like what kind of picture you like to hang inside your living room wall ...etc..those are believing by our chinese people, those were bad culture that most of the chinese like to linked up related it to feng shui. In classical feng shui, the most concerned is the location,direction,surrounding and lucky stars location for the period of 8. always never add in those believing in feng shui. wat happen to our home. howcome no latest/updated news?? my gf called to Farlim last wk and they mentioned that Blk A may able to get their key within this 2 weeks. :) but not sure how true is it!!! as i heard from PenangFon service provided, their services are not cover Farlim area is because pending from the management side of farlim! can we work together and push them to approve it? Anyone aware that balkoni have ugly steel.....think to change to stainless steel or built a simen wall in close window sorounded the blakony...i saw only 1 unit at Block A did it only....do u all aware its balkoni steel...is different from other..why her? i receive letter from farlim for acknowledgement for entranry for lucky draw..u all receive d letter? even outsource to other capaable mgt ppl whose specilise in this matter to proper take care of maintenance in that area. attn...develop dont look for short-term $....do something to built ur brand name, IMPROVE CUSTOMER SATISFACTION....this will uphold the developer status to next level...hence the consumer oso happy. unfortunately, the lucky already over few weeks ago. nobody attended the draw because there was no open event held by Farlim. they only invited local reporters as withness during the draw. Yet, there was no result publish in local newspaper and no result send out any of us except winners, i believe. conclusion, nobody know how fair the draw is!!! regarding the management side, we (residents) really need to form a committee and fight for our rights with the management Company. Hurray!! you stll remember which date of the paper? ystan, no need to dream already la :( if i kena then oledy received their letter! btw, you bought which blk & flr? extra car park 12-13K, isn't it? Hi all, Good news !! I've called to Farlim group, They give us house key its jus only can view our apartm while waiting for OC approval. The upgrading will be done after OC obtained. I also got the letter. Did they say when can we view our unit? The main door is always close. After the bank released the loan to developer then u may get the key from Farlim group to view ur apartm. I will go to Farlim office on comin Sat if the loan has released. i did call to Farlim as well. the situation is very confusing right now. It seems like everybody have different feedbacks from Farlim. some said we only can view the unit after key and some said after OC. so which one is the correct?? anyone took the key and view the actual unit?